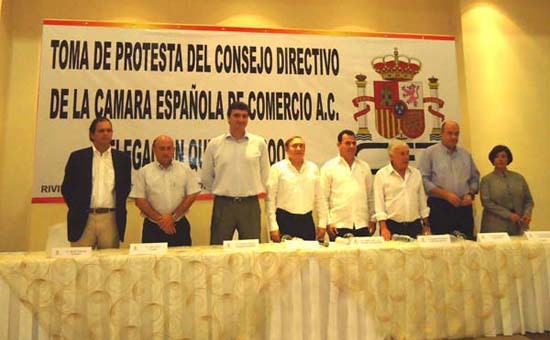 On December 9th, The Fives hosted the Spanish Chamber of Commerce (SCC) Convention. The new Board Directors are headed by Vice President and hotelier Jean Agarrista, were sworn in. The purpose of the event was to discuss the future of Spanish investment in the Mexican Caribbean. The SCC announced the opening of its newest delegation in the State of Quintana Roo. The President Alejandro H. Sampelayo, agreed to strengthen trade relations, promote new investment as well as cultural activities between both countries. The SCC in Quintana Roo Delegation is made up of representatives of major economic sectors. A key member is Pablo Serna Lorente, CEO of TM Real Estate Group, the developer of The Fives. The SCC has been in Mexico for over 100 years and has over 500 members. It has successfully strengthened economic ties and goodwill between both countries.